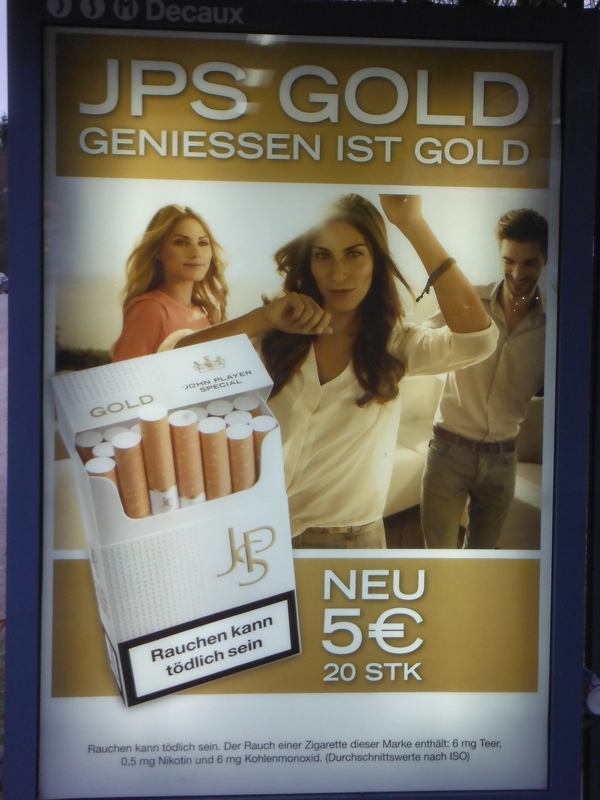 There’s been a lull over the summer regarding cigarette advertising in Germany. 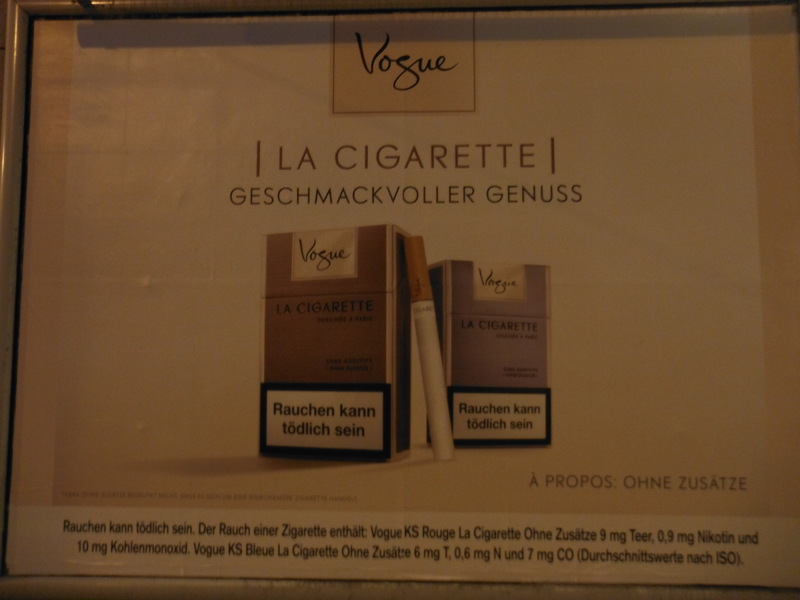 Arriving in Munich last night I spotted a couple of new campaigns: Vogue and John Player. Vogue (pictured left) is a BAT brand targeted at women and is new to this blog. La Cigarette denotes a singularity with the definitive article; followed by – literally – tasteful pleasure. Going head to head with Vogue is John Player Special Gold. The tagline (right) is not that different to Vogue: Enjoyment is Gold. How to read this one, I’m not sure, but if I am not mistaken, exposing one’s inner arm to another – or a camera – denotes availability, submission even. Submission in the first instance to the addictive drug and perhaps second, before she dies, to the bloke in the background? No idea what the other woman is doing there.